Police Detective In­spector, Sakiusa Titoko, testified in the Suva High Court yes­terday saying that he up­lifted the white electric kettle cord from the mur­der crime scene because of the visible injuries found on the deceased’s neck. 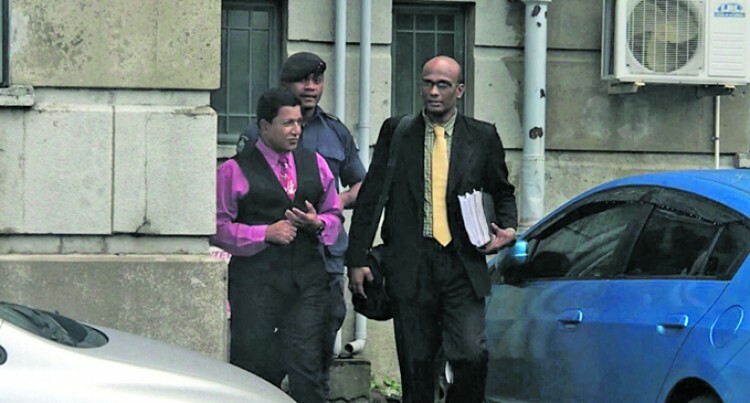 Inspector Titoko gave evi­dence before Justice Vin­sent Perera in the murder trial involving former Pilot Imshad Ali, 38. Ali is alleged to have mur­dered his de facto partner Rajeshni Deo Sharma, 34, in their Rewa Street home on November 3, 2009. He is represented by De­fence lawyer Abhay Singh. During re-examination by State lawyer Meli Vo­sawale, Inspector Titoko was questioned as to why there was no mention of the iron rod in his Police statement which was found under a duffle bag. He said he did not note it down because he was with a lot of Police Officers dur­ing the reconstruction of the crime scene on Novem­ber 4, 2009. He testified that during re­construction, the accused pointed out the iron rod to him. Inspector Titoko said he uplifted the iron rod from the crime scene even though there was no blood stains found on it because it was consistent with the injuries found on Ms Shar­ma. He said the iron rod was not tested for prints be­cause the surface of the rod was very slippery and any powder applied on it would slip off. Detective Constable Sam­uela Namusu also gave evi­dence yesterday. He said on November 10, 2009 he was instructed by Crime Officer Inspector Maha Ram to look for Ali. He said they looked for the accused for three days and finally apprehended him at Safs Apartment in Suva. Constable Namusu said on November 12, 2009 they received a call from the receptionist at the apart­ments that the accused had checked into the hotel. He said they were told that the accused would check out at 10am the next morn­ing. He testified that after they received the informa­tion they regrouped at the Samabula Police Station on November 13, 2009 before proceeding to the hotel at around 10am. Upon arrival they waited at the hotel gate which was beside the reception area and they were informed by staff members that the ac­cused was coming out of the complex. He said when they saw the accused they informed him of the reason they were there to arrest him that morning. Constable Namusu said upon hearing this the ac­cused made a sudden turn and proceeded to return to where he had come from in the hotel. Trial continues in the High Court today. The ac­cused is in remand.